Fact 0: $burst never paid for any media coverage or listing fees for any exchanges currently traded on. Also never paid for any followers, friends, likes or whatever. 100% genuine, organic growth! Fact 1.618: Burst has lots of infrastructure/features built, but unused. 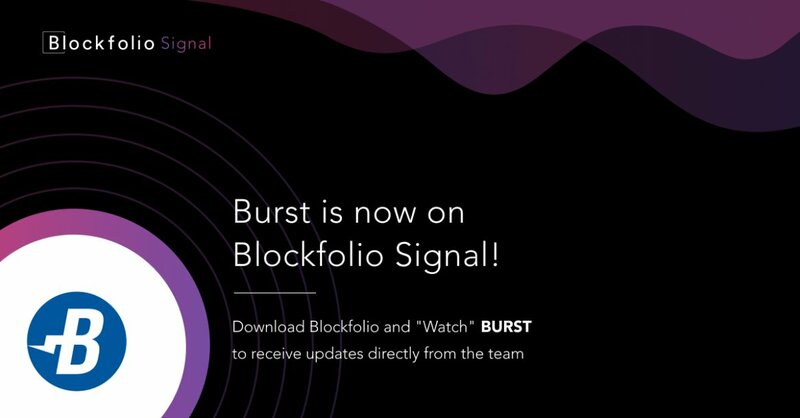 You could buy and sell burst on ATMs world wide. You could use an anonymization service. You could do mass airdrops. You also could use decentral escrow services. Well, at least we have all of these. Johnny released Scavenger 1.6.6: https://t.co/LOpBjqtyhp You certainly want to update, as this version handles network forks/instabilities much better. Previous versions could get stuck if they got a lower block number (Blago did it right) than before.